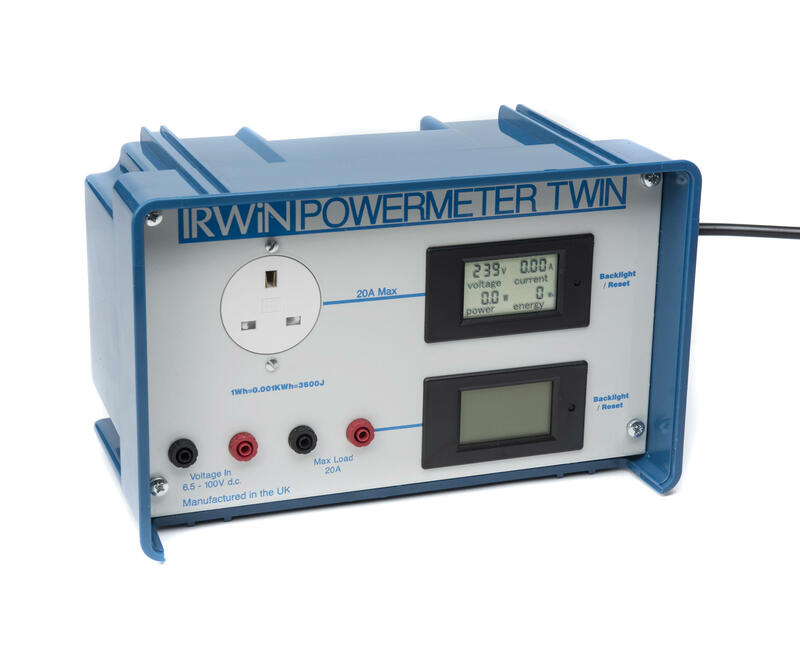 The Irwin Power Meter Twin uses two large backlit displays which display four important parameters. 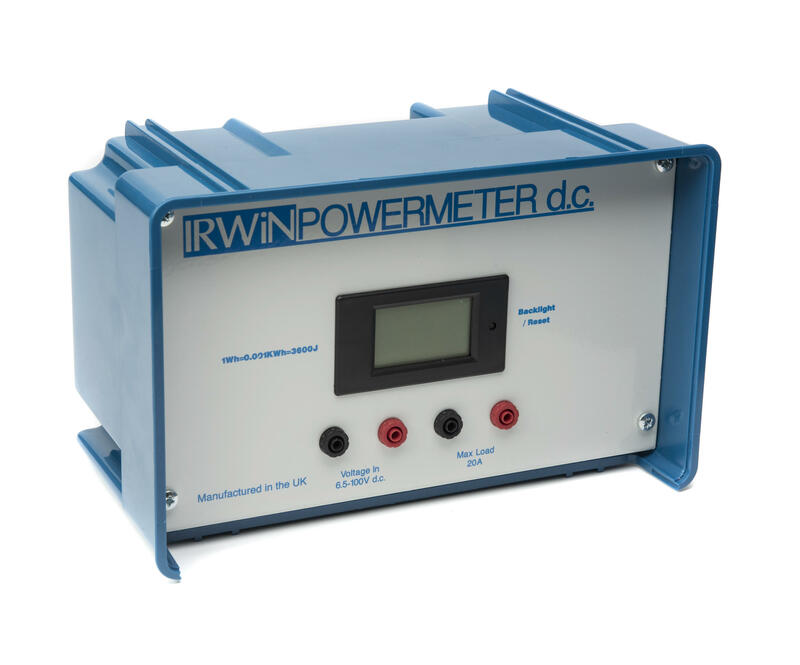 The Powermeter Twin is designed to be used with a low voltage power pack and can accept input voltages in the range 6.5-100V d.c. 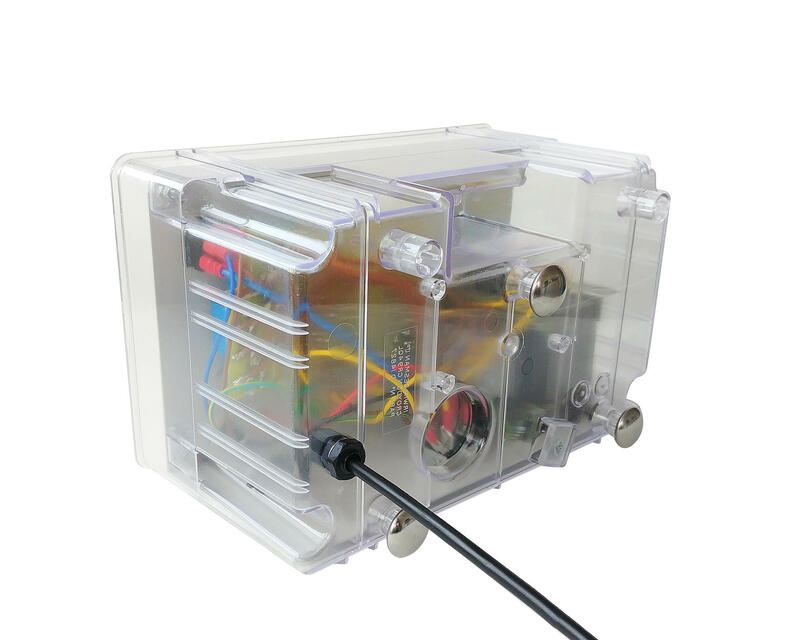 The load (which may draw up to 20A) is connected to the load terminals. 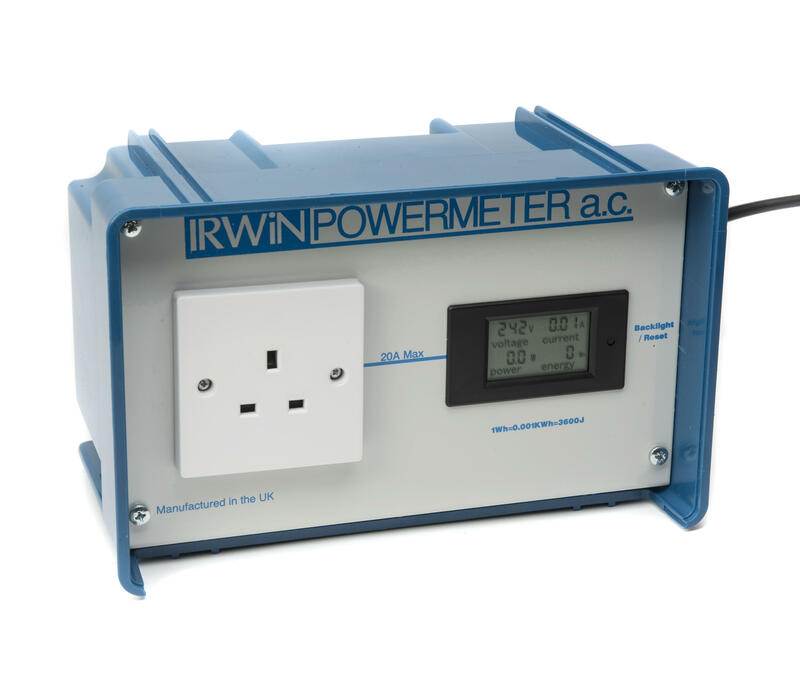 In addition, the unit may be plugged into the mains for testing the energy use of common domestic appliances. The two sections are completely independent and may be used simultaneously if required.